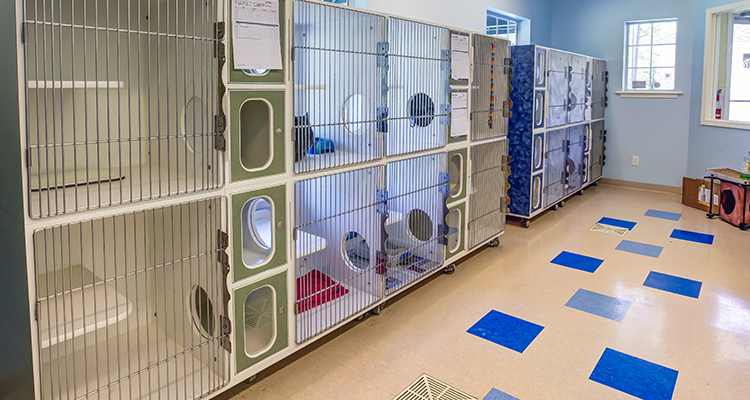 Our Kitty Condos are the perfect place for your feline friends to lounge in style. They are set up in their own wing of the facility, far away from the canine kind. Cats can enjoy their very own space that will have them purring with contentment. If you have multiple felines from the same family, we can set them up in one of our larger condos. They can move in and out of individual quarters and enjoy the company of their familiar friends whenever they like. *For your kitty to stay in our condos, they must be current on their rabies vaccine, herpes virus vaccine, clicivirus vaccine and panleukopenia vaccine.